Hardman, L, Bulterman, D.C.A, & van Rossum, G. (1993). 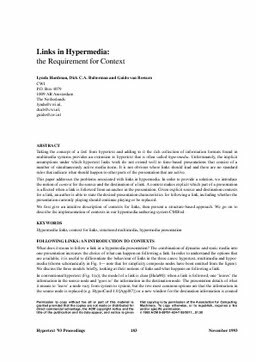 Links in hypermedia: The requirement for context. In Proceedings of ACM Conference on Hypertext and Hypermedia 1993 (pp. 183–191).